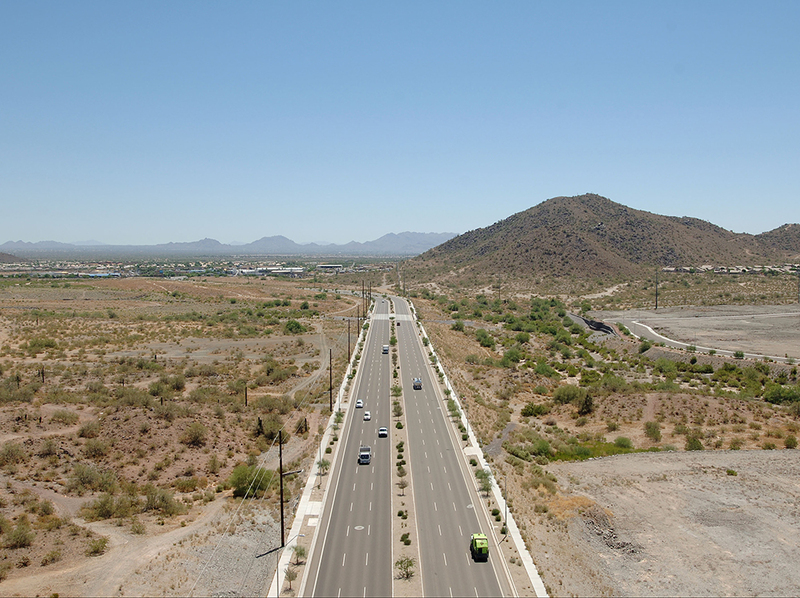 Deer Valley Road, 7th Street to Cave Creek Road | AZTEC Engineering Group, Inc. 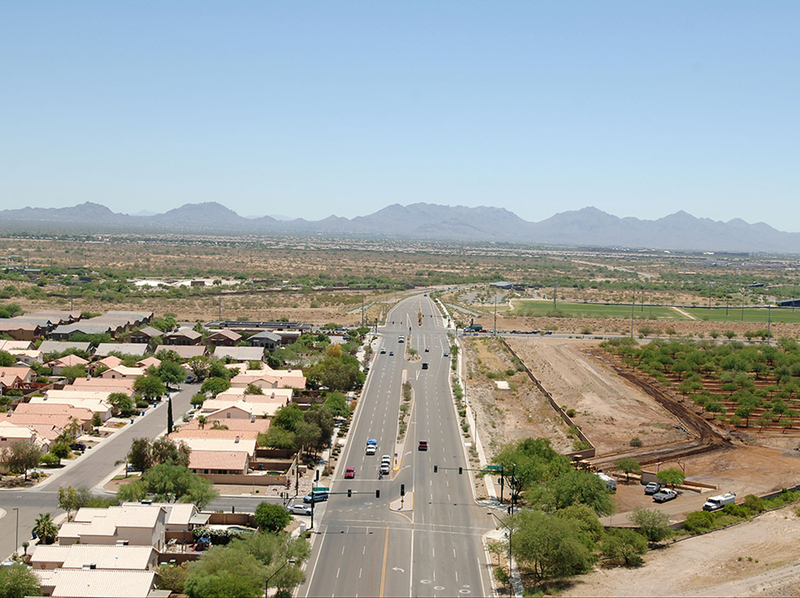 Deer Valley Road, 7th Street to Cave Creek Road | AZTEC Engineering Group, Inc. 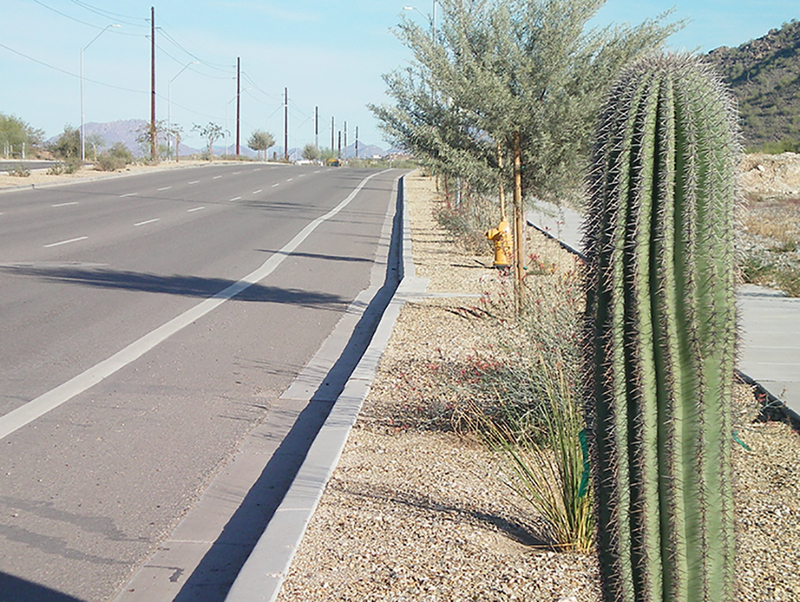 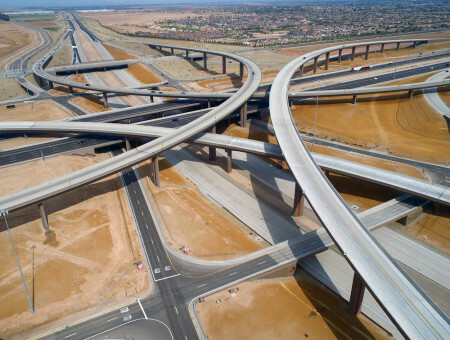 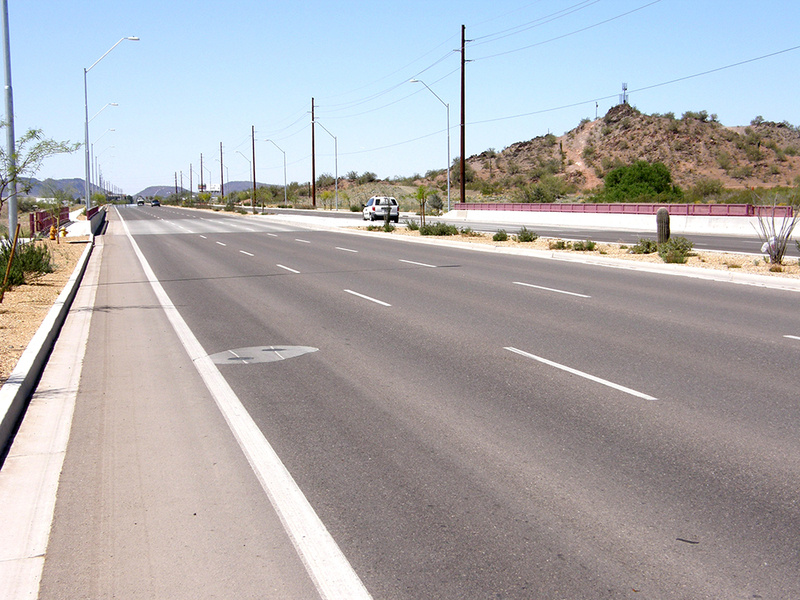 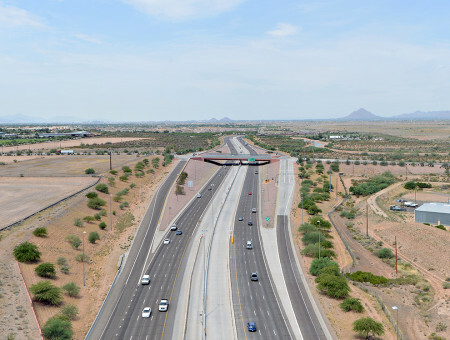 This project consisted of roadway, drainage, structures and utility improvements along Deer Valley Road from 7th Street to Cave Creek Road in Phoenix, Arizona. 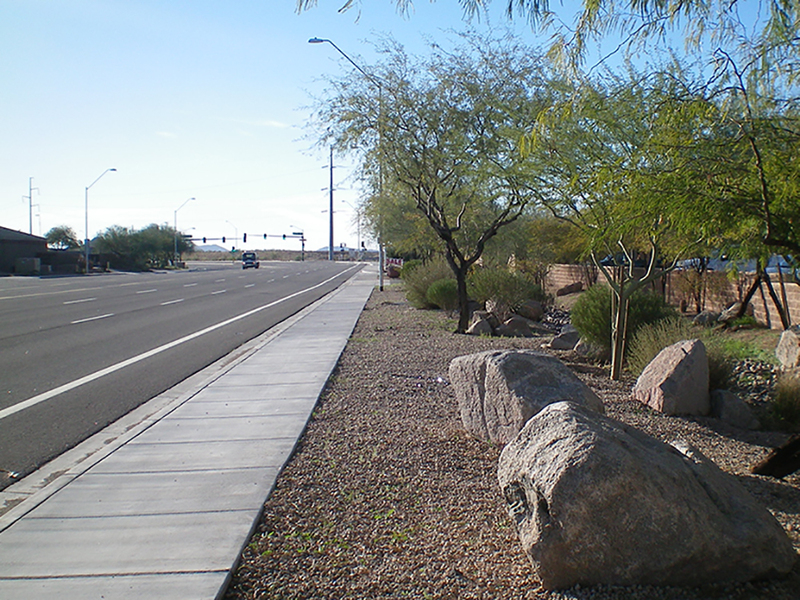 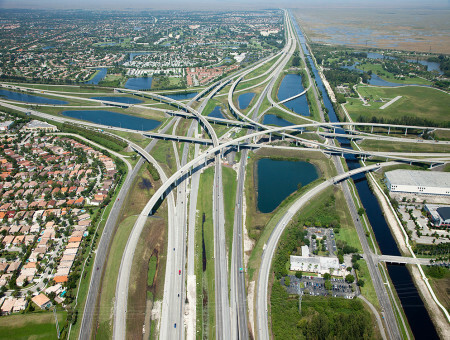 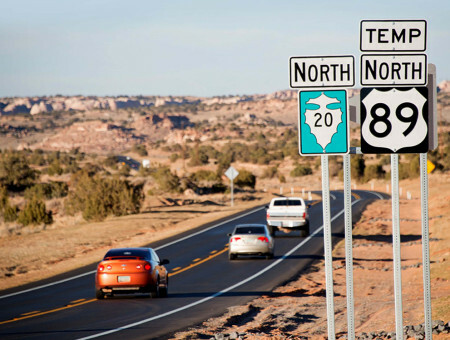 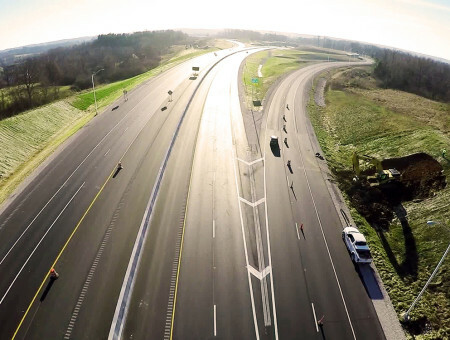 These improvements included the reconstruction of Deer Valley Road from a two-lane rural section to the ultimate major arterial street typical section with curb, gutter, sidewalk and three travel lanes in both directions. 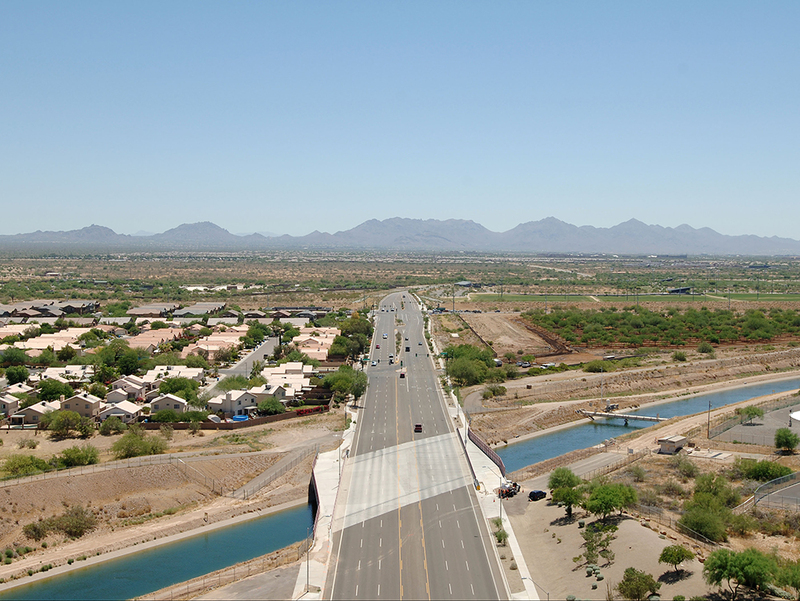 It included over one-mile of new storm drain, retention basins, and channelization of Cave Creek Wash under a new bridge, which included two drop structures within the channelized section. 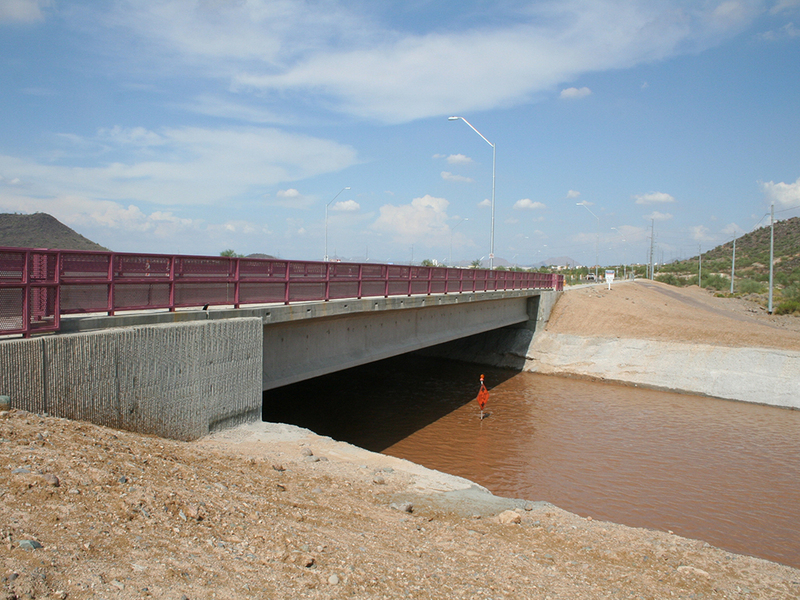 The project also required reconstructing a bridge over the Central Arizona Project Canal, box culvert construction, and cement stabilized alluvium construction to protect the embankment from erosion. 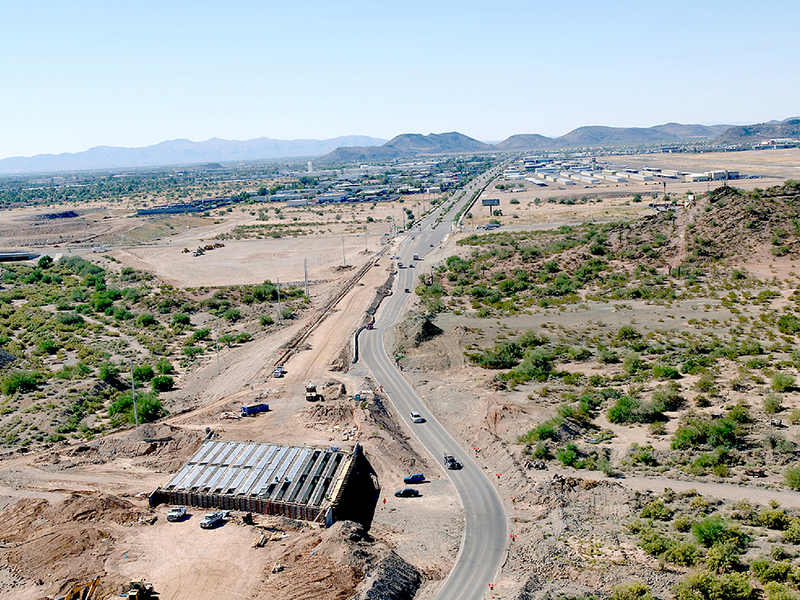 Within the Cave Creek Wash, the team utilized gabion mattresses and concrete-constructed drop structures. 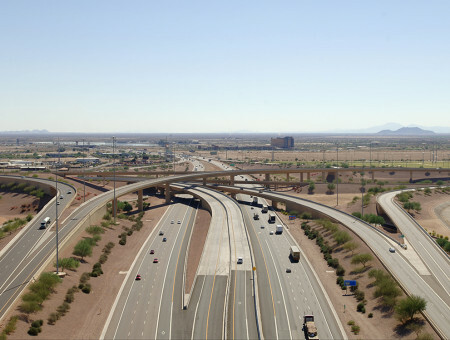 In addition, AZTEC designed more than a quarter-mile of geo-foam construction to provide lightweight fill over twin 66-inch waterlines. 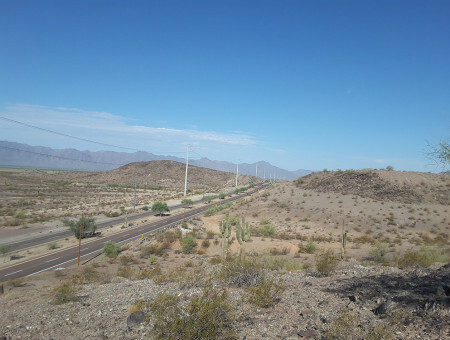 Significant coordination and relocation of private and City of Phoenix utility facilities was coordinated with the City to successfully deliver this project.